We’ve mentioned before that a garage door is the largest and heaviest moving part of a home. That weight and heft are why it’s important to keep up with garage door repair. But, this post is about having fun with holiday garage door decorations. The only limitations are your imagination and commitment to outdoing your Vancouver, Washington neighbors. As you work, make safety a priority. Don’t operate the door as you’re working. Keep decorations out of the way of the door’s tracks, photo eyes and moving parts. Sometimes quick and easy wins the day. These decorations won’t take more than an afternoon to put up or take down. That’s a Wrap: “Wrapping” a door up in a bow is a holiday favorite. You’ll need a wide weather-resistant ribbon. Take vertical and horizontal measurements of the door before you head to the craft store. Depending on the style of your door, you may need to affix the ribbon in sections. You don’t want the strips to interfere or get caught in hinges. Pine Fresh: Nothing tops natural or natural-looking wreaths and garlands. Hang a wreath on either side of the frame and several on the door. Arrange garlands above the opening. Your evergreen concoctions will give your home a traditional, festive look. Baby, It’s Cold Outside: If your garage has windows, apply faux snow on the glass. 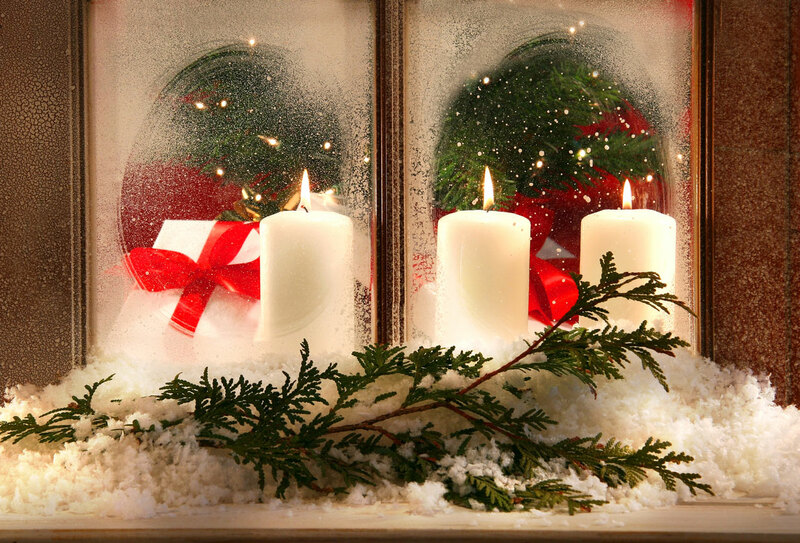 Stay with the wintery theme by hanging icicle-shaped lights on the top of the door frame. Place a figure of old St. Nick, a reindeer or a snowman near the garage. Festival of Lights: It’s not the holidays until you string twinkling lights. Go the traditional route by framing the door. Theme and Variation: You can get fancy by combining several of the ideas mentioned above. Choose a theme to keep your efforts from looking random. Sketch a design and make a shopping list. Decorate the door and keep going, embellishing around the frame and on the ground adjacent. 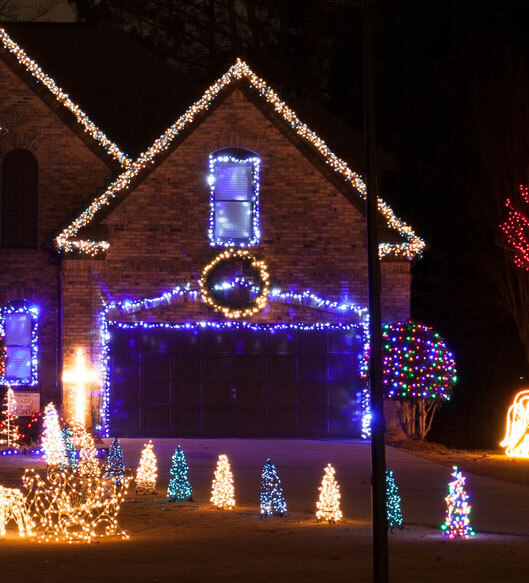 Nightly Screenings: You can rent or buy a projector to cast a winter or holiday scene onto your garage. Find a safe, dry place for the projector. Point it at the door and turn it on every day after sundown. Stage a Scene: Create an indoor/outdoor display inside the garage. You’ll need to hang backdrops to cover the main part of the interior. Then, stage a large-scale diorama. Put up a nativity scene, a landscape of inflatable characters, an elves’ workshop or anything you desire. Make sure you can close the door when you need to. Want about a 1,000 more ideas? Check out Pinterest for holiday garage door decorations of every type. If you’re having a problem with your door, we’re here to help. We’ll tune it, repair it or install it. Contact us for more information.